Summary rows visibility can be controlled by the ShowSummary property and it can be added to grid by using the SummaryRow array property. The following code sample describes this. Summaries with Sum,average,maximum and minimum aggregate can be defined by using the SummaryType in SummaryColumns collections. These aggregate are used in the Number column. Summaries with True and False count aggregate can be defined by using the SummaryType,SummaryColumns collections. The True and False count aggregates are used for boolean columns. 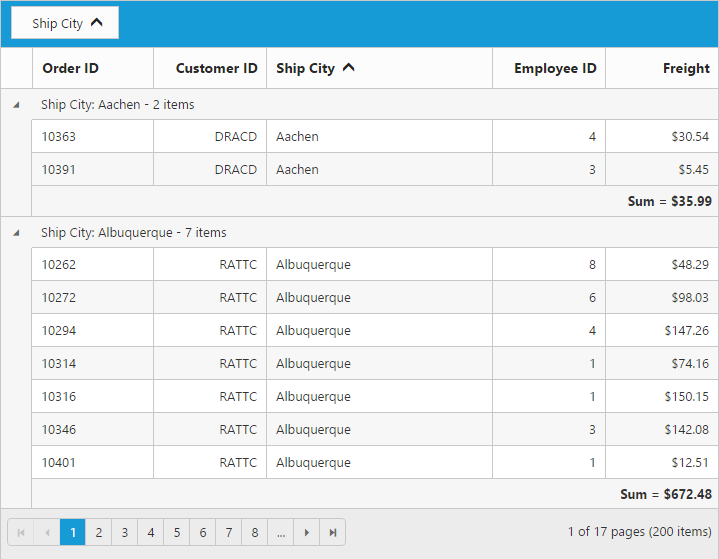 Custom summary can be used to create summary values based on your required custom logic and calculations. To enable custom summary, the SummaryType should be Custom and CustomSummaryValue property need to defined as function. 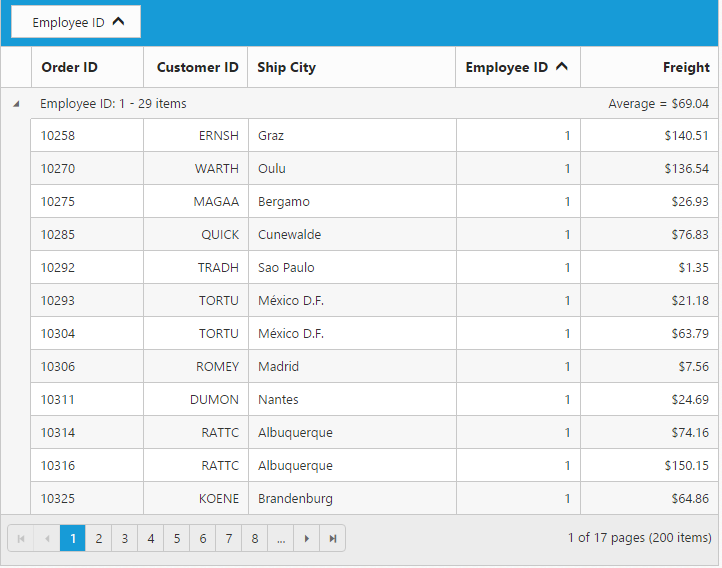 In the CustomSummaryValue function, you need to use the grid instance to access model.dataSource and model.currentViewData. 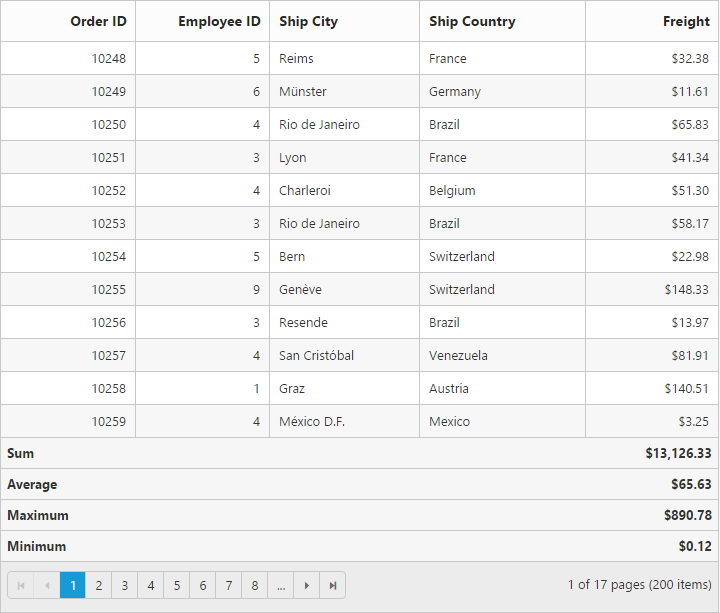 After the custom calculation, the returned value will be displayed in corresponding summary cell. 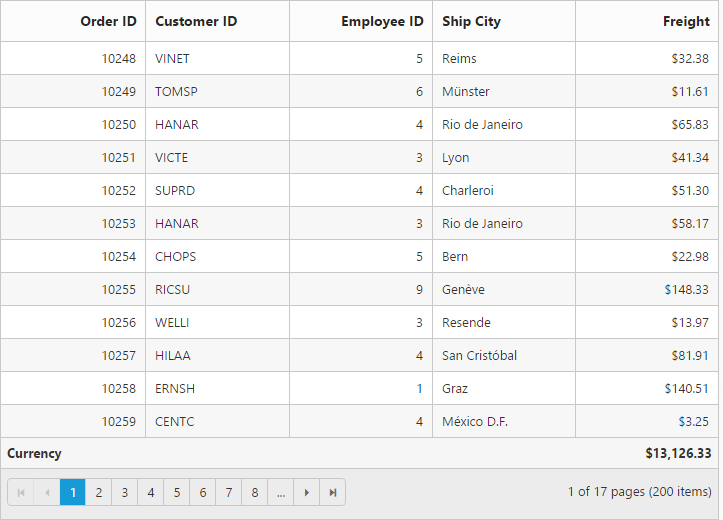 Group summary is used to summarize values of a particular column based on group and it shows at bottom of each group. To enable group Summary for particular group, you need to define the ShowTotalSummary as false. 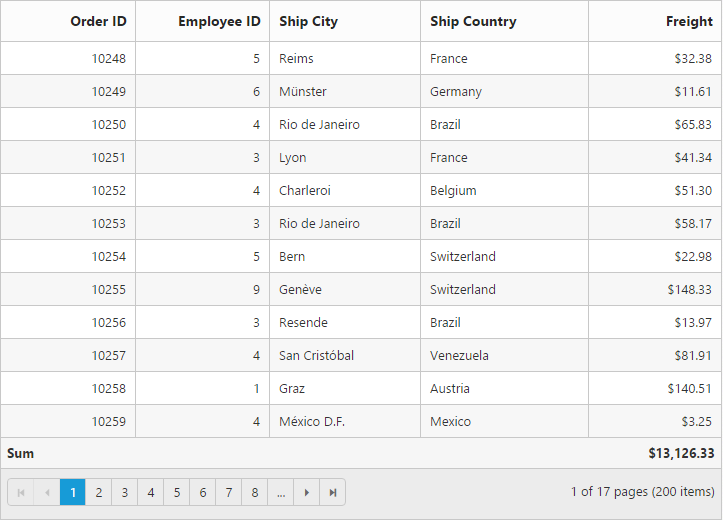 Minimum one column should be grouped to show the summary details. To show summaries in each group’s caption row, particular summary row should have the ShowTotalSummary as false and the ShowCaptionSummary as true. Minimum one column should be grouped to the show summary details. 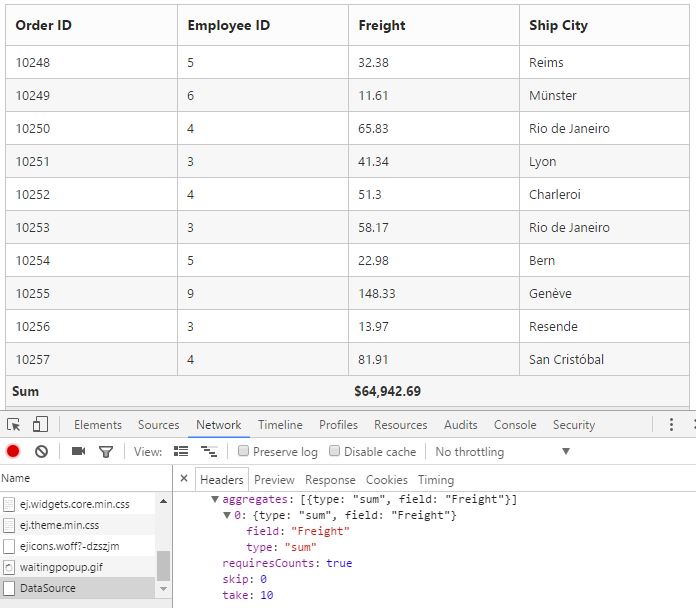 Using the Template property of SummaryColumns you can render any type of JsRender templates or customizing the summary value. 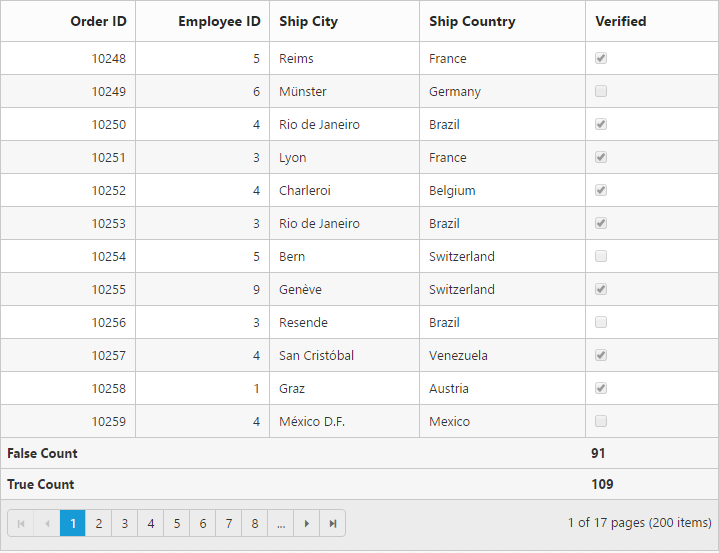 The Aggregation at server-side is handled by using the aggregate key. While using remote data, summary row must be handled by returning summary column datasource into the aggregate property of result object.